Amazon has released their Kindle application for Android devices, following suit after launching the Kindle iPhone app as well the iPad, BlackBerry and PC and Mac desktop versions. The app is available to all users running Android 1.6 or higher and will allow you to sync with all your other devices running Kindle software, including the Kindle itself. This means that you can download all of your existing purchases from the cloud, and go straight to the last page you were on without having to find your place manually! 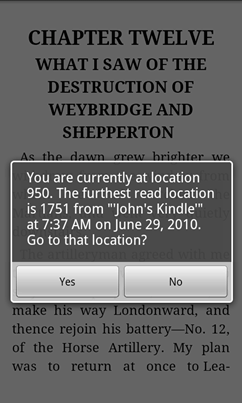 The interface of the Kindle Android application is similar to that of the other mobile versions, such as the one on the iPhone. 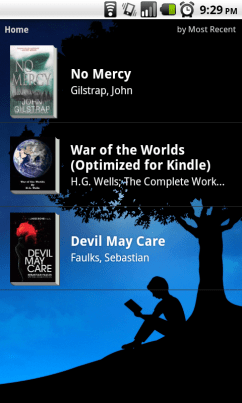 All of your books are listed on the home page of the app, with the most recently read appearing at the top of the list. 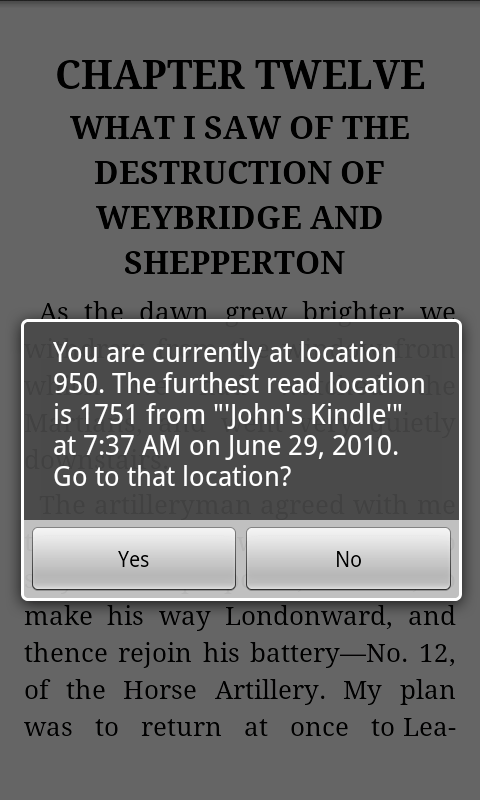 I was glad to see that a lot of the functionality seen in the Kindle app on other platforms has been made available on the Android version. The only noticeable omission when compared with the iPhone app is that you can’t take notes or highlights on the device, although you can view notes that have been made whilst using other versions of the application. Hopefully, the app will be given more functionality with future updates, clearly Amazon are looking to expand their Kindle book platform further, clearly one reason for the recent Kindle price reduction. I also had an issue where sometimes a book I selected from my archived items wouldn’t download first time. If you want to try out Kindle on Android for yourself, you can search for it in the Android Market, or simply scan the QR code below. It certainly won’t replace my Amazon Kindle 2, but it’s great to have if the Kindle isn’t close at hand and I want to continue on with my reading.